I received a couple of unexpected emails from Microsoft over the weekend, giving me some free upgrades to my SkyDrive storage, as well as a free Skype Premium subscription. 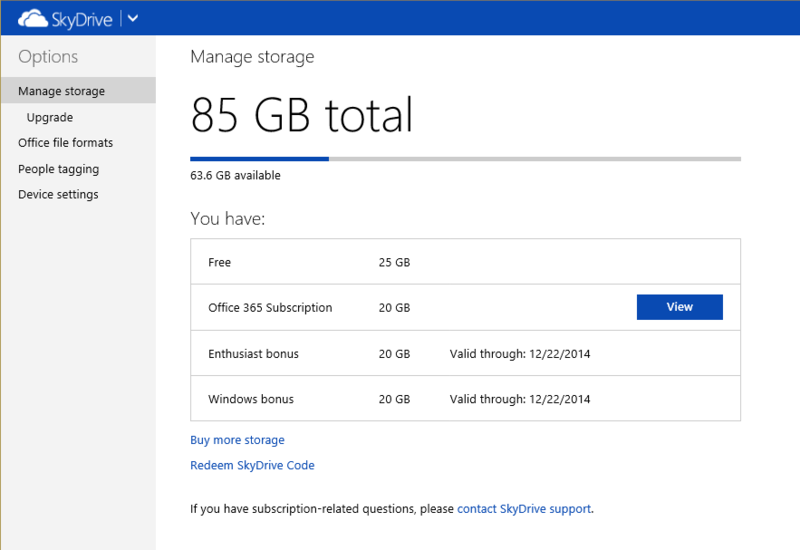 One of the SkyDrive redemptions shows up as Enthusiast bonus, while the other shows up as Windows bonus, and both include 20GB of storage for a year. I haven’t activated the 200GB of additional storage that came with my MVP Summit Surface 2, I guess I should do that soon. 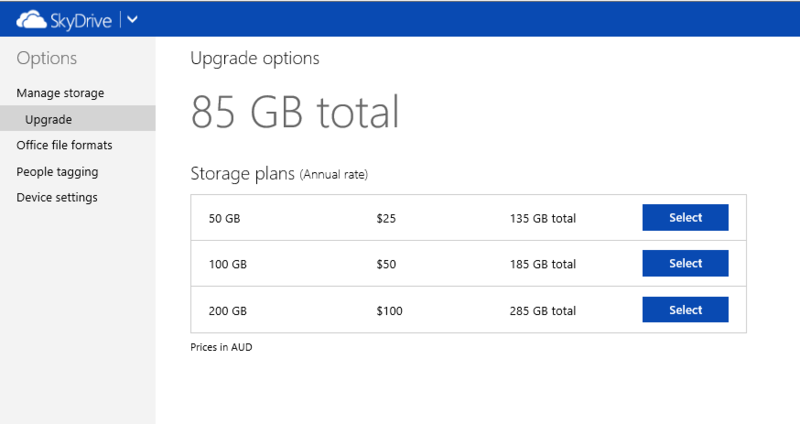 Just a quick note on the Office 365 Subscription 20GB that is listed – this is from the consumer Office 365 subscription, which also gives a generous Skype allowance as well. It has nothing to do with Office 365 P, M or E plans. 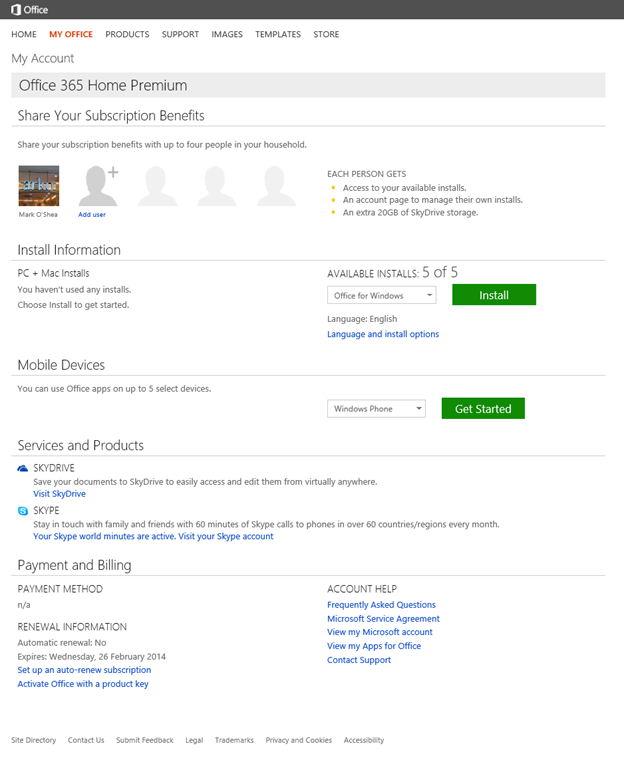 If you aren’t familiar with the Office 365 Home Premium subscription, here’s a look behind the scenes at my account. You can see that it has the same 5 machine install license, but I can allocate the extra 4 licenses from within the console. I still think that this approach is a fantastic way for Microsoft to start bringing their brands together in a way that benefits the consumer. It’s been a while since I poked around on the SkyDrive site, as I mostly access it via the Windows 8.1 app or via the desktop. I’m still surprised that the there is no price break or bonus data for people on larger plans, but I guess they could be receiving some decent bonus offers that I’m not aware of. Speaking of not aware of… I had no idea this option was here. 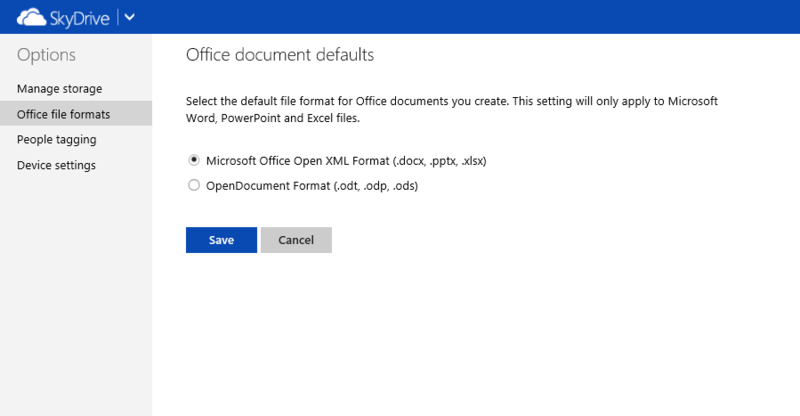 I have no idea why you would not choose the Microsoft formats, doing otherwise is just plain lunacy. Now, on to Skype. 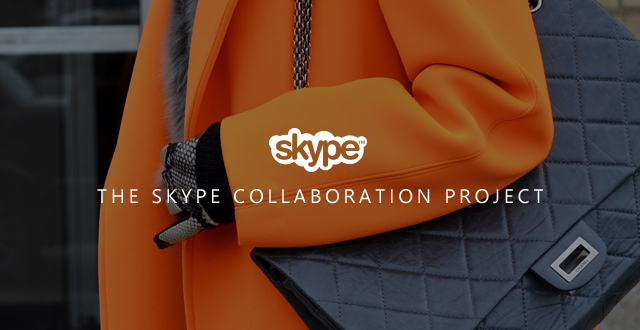 They have something called The Skype Collaboration Project. Apparently it lets Victoria Beckham make me a dress or something like that. But it also includes free Premium Skype for a year, which is not a bad thing.